For One More Day: A Novel. By Mitch Albom. 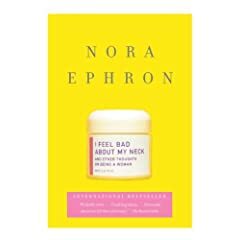 Hyperion, 197 pp., $21.95. It’s official: Mitch Albom writes at a third-grade reading level, according to the readability statistics on Microsoft Word 2004. I know this because For One More Day struck me as so dumbed-down – even for Albom – that it fell below the level of the sixth-grade books I once edited for a test-prep company. So I typed a couple of paragraphs from the novel into my computer and ran the Word spelling and grammar checker, which gives you the Flesch-Kincaid Readability Statistics at the bottom. Albom, it showed, writes at the level of Grade 2.8. This was startling enough that I wondered if the paragraphs I had used, from page 24, were atypical. So I typed in the full text of pages 24 and 25 and found that they were atypical. Albom actually writes at a third-grade level, Grade 3.4, according to Flesch-Kincaid. I used pages 24 and 25 because the first pages of a book sometimes don’t represent the whole of it: Authors may be clearing their throats or writing in a different tone than they will use after they have found their rhythm. So it’s often fairest to look not just at the first chapter but also at something that comes later. A chapter typically has about 20 pages, so I used the first full section of Albom’s book that follows page 20, a total of 305 words. I also ran the statistics for the Lord’s Prayer, using the punctuation in a 20th century edition of The Book of Common Prayer. And it turns out that Jesus, too, “wrote” at a third-grade level, Grade 3.8, according to Microsoft Word (although he spoke the prayer). So there you have it. Mitch Albom, writing at the Grade 3.4 level, doesn’t quite come up to the level of Jesus at Grade 3.8. But who would know it from all the attention he is getting? Furthermore: This review has a reading level of Grade 9.5, excluding the supplemental information at the end, according to the Flesch-Kincaid Readability Statistics on Microsoft Word 2004. Published: September 2006. 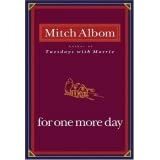 Albom also wrote Tuesdays With Morrie (Anchor, 2005). How to find the reading level of a book: Go to the Microsoft Word pull-down “Help” menu. Search for “readability statistics.” Select “display readability statistics.” This will walk you through the process of finding the grade level for any text you enter, including your own writing. Grade levels and their corresponding ages in American schools: In the U.S, children typically begin grades at these ages: kindergarten, 5; first grade, 6; second grade, 7; third grade, 8, fourth grade, 9; fifth grade, 10; sixth grade, 11; seventh grade, 12; eighth grade, 13; ninth grade, 14; tenth grade, 15; 11th grade, 16; 12th grade, 17.